Get published in a magazine? 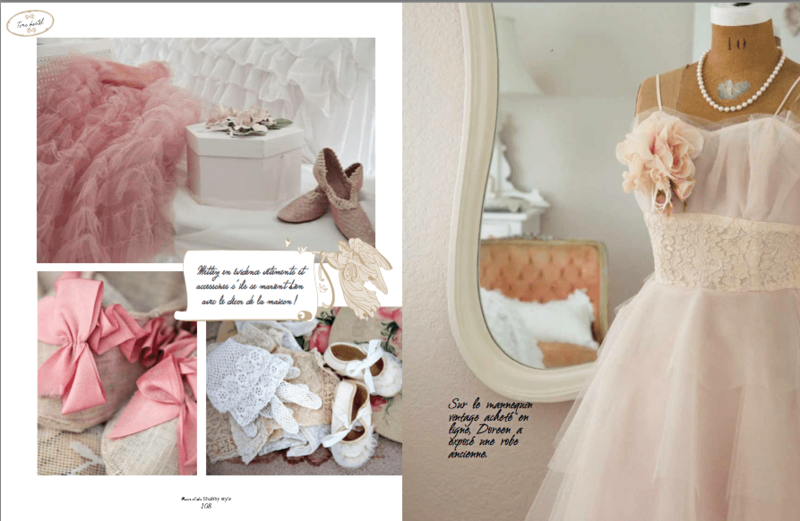 Today I’m sharing my latest shoot that is published in Shabby Style magazine over in France. 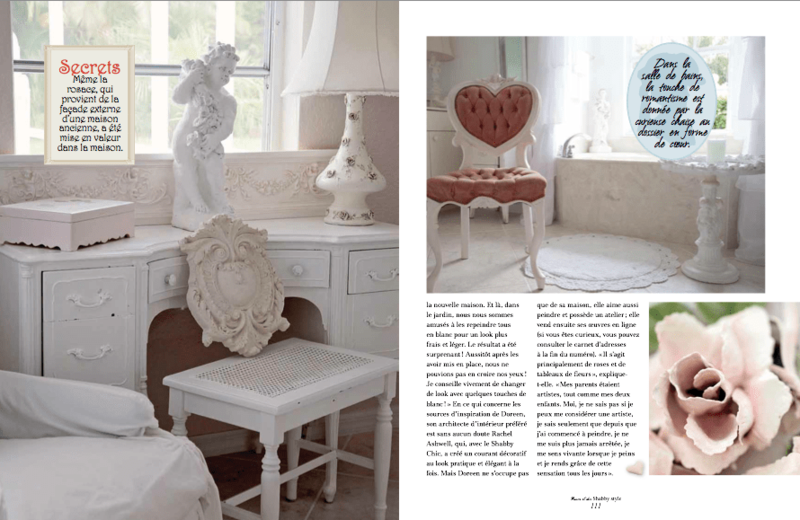 It’s always a complete thrill to see my photography published and this home is a lovely oasis of feminine shabby style over on the west coast of Florida. 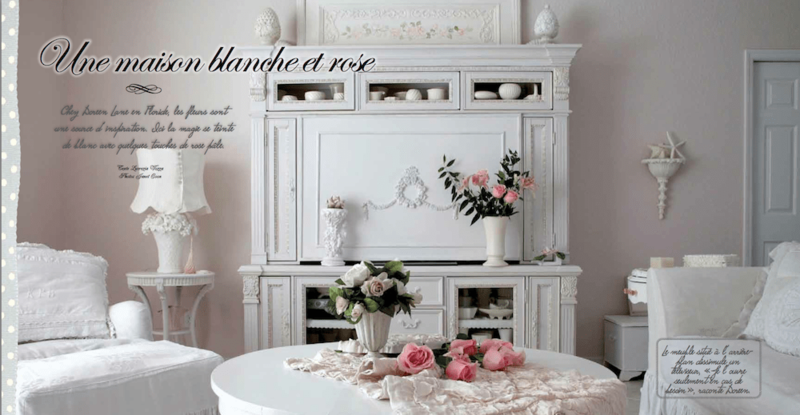 I wish to thank Doreen Rinaldi~Lane for inviting me into her home….as it was truly a pleasure! Getting your home published is something that so many home designers and decorating enthusiasts dream of. I’m here to tell you that it’s not difficult to achieve and have a few tips today help with that. Do you have a style that you love to decorate in? 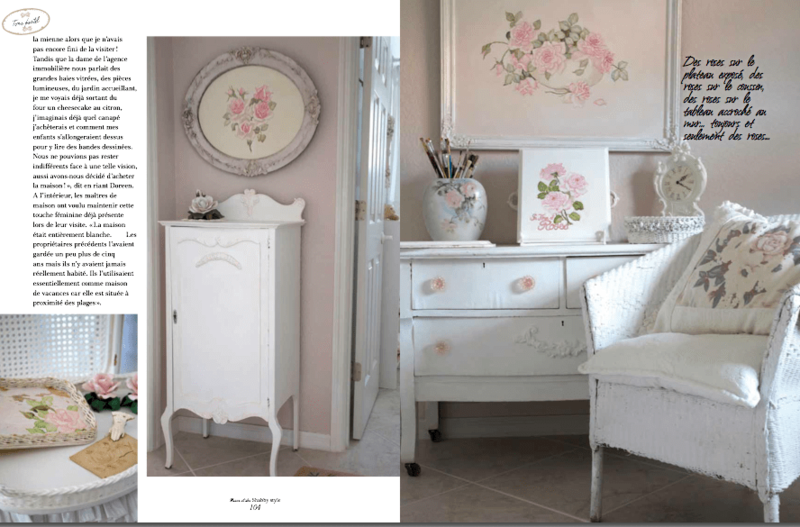 The photos of this home showcase the homeowners love of soft and romantic decor, and since this article was written it has also had a full spread in Romantic Homes magazine. It was a dream of the homeowner and her style fit the niche. 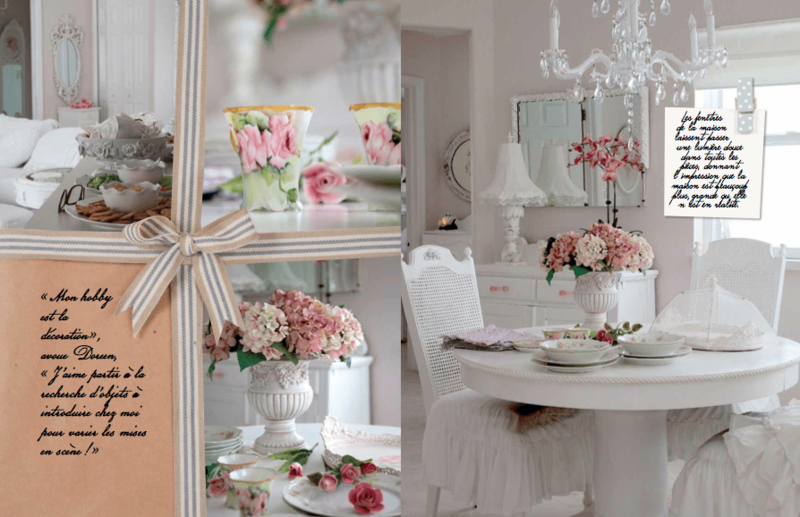 She decorates with what she loves, what is personal and meaningful to her life. Not mine, not yours…but hers. Magazine editors and scouts tend to like homes that are original and not cookie cutter to everyone else with a keen sense of the homeowner’s style. It’s become increasingly difficult to sell printed magazines for publishers with the lack of advertising and the big bloom of content on the internet, so they are striving to keep ideas fresh and new for their readers. Once you have set up your rooms and feel that you are showing YOUR best style, take a few test shots and have a look. With just about everyone having a smart phone these days it’s so simple to see how your home might look in print this way. Declutter, hide the junk and then get down and try some different angles. Keep going until you have a handful of shots and then you’ll be ready! 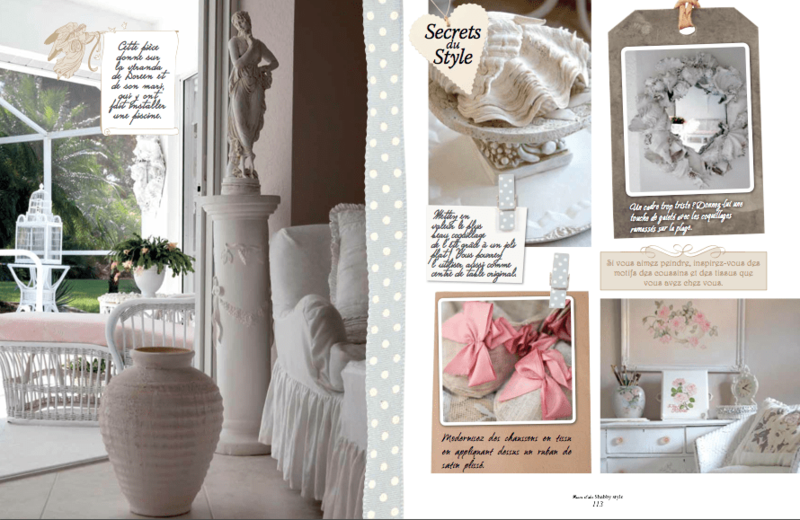 Look for the type of magazine that you feel best fits your home and decorating style. Most magazines have contact information now within the editorial page and you can try emailing the editor or local contact if listed. You can also go on-line and reach out through their magazine page and often reach the publication on Facebook, Twitter or Instagram. Leave them a private message and ask for the submission email address and just tell them that you have a home you think would be a great fit! You can send in your photos from your phone once you have that information. If you are decent photographer, know that there are some smaller publications that may publish YOUR photos directly. Will you be paid for your work? Most likely you will not, especially if a photographer is sent out to your home. It’s a great start and a feather in your cap if you enjoy decorating and sharing your home with others! love this Janet! Yes, so important to create 'just for fun' and to let your work wander here and there 🙂 You are doing an awesome job and a huge role model for me!! I think the best way is to take a class at a community college! You'll get in touch with your art again whether it is through a pottery class, painting class, mixed media class or whatever is available! Your blog is always beautiful and inspiring! 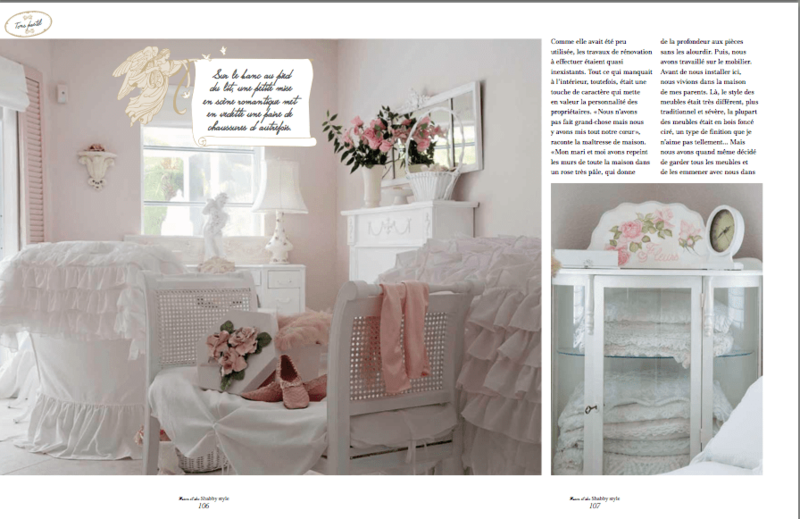 What a beautiful home and what a beautiful magazine they get to enjoy in France! Janet what a beautiful place. You did such an amazing job. Follow your heart. Right now you are where you are suppose to be. Your artistic side is such a joy to watch. Such a luvly home Janet. Thanks for sharing it and the article with us. You never cease to amaze me! The photos are gorgeous and that home is just breathtaking! You have so much talent…let it shine! Congratulations on your publication Janet!! You are so truly talented! !